Since I moved to London, I’ve been on a hunt for restaurants and sweet spots that not only invite kids to come along, but also include them in one way or another with entertainment or themed environments. 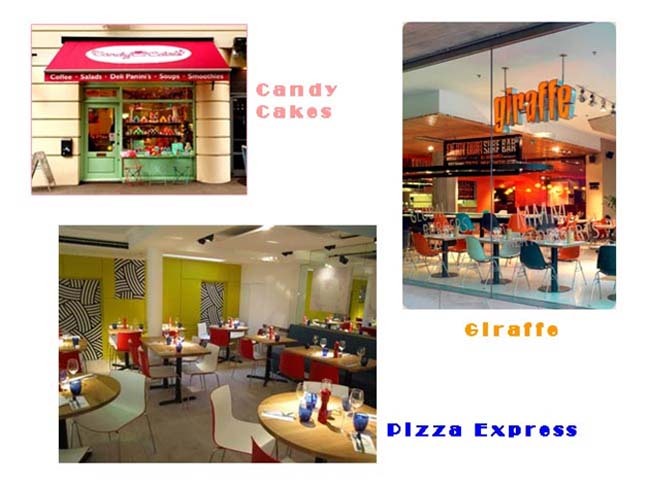 Below is a list of personally tested London restaurants and dessert shops that my own kids would be bonkers not want to go back to and might help you if you are planning to travel to London with your kids anytime soon! Giraffe – Burgers and fries oh my! Be sure to snag a lean plastic giraffe for your kiddies before leaving. Pizza Express – Kids and pizza seem to go hand in hand anywhere. Mmmm… You have to try their dough balls. Sticky Fingers – Loaded with rolling stones memorabilia and known for their rockin’ ribs. Shake Away – You won’t believe the shake selections they offer. Oh heaven… I want one of their Cadbury Caramel Chocolaty shakes! Candy Cakes – This place is sure to leave you walking on the clouds with their selection of connoisseur cakes.